Ever grab a cookie and then ten minutes later realize that you just ate five of them? Sometimes things don't go exactly as planned and what starts relatively innocently makes a big u-turn. Any car enthusiast knows having a parts car is a cost effective way to keep a pricey car running. Today's seller has taken that idea to another level with this Mercedes bundle deal. 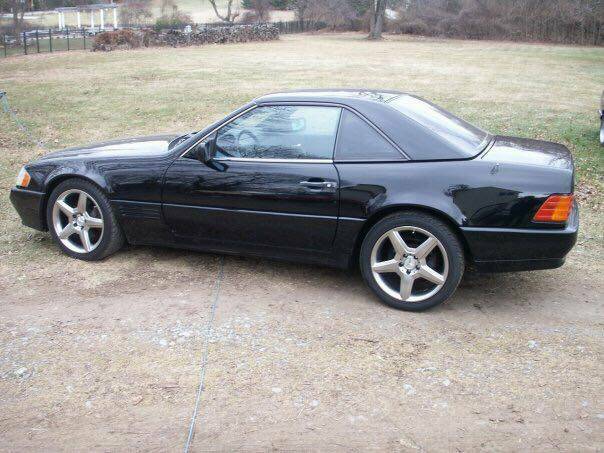 Find these five Mercedes R129 Convertibles for sale in Newtown Square, PA for $11,000 via craigslist. 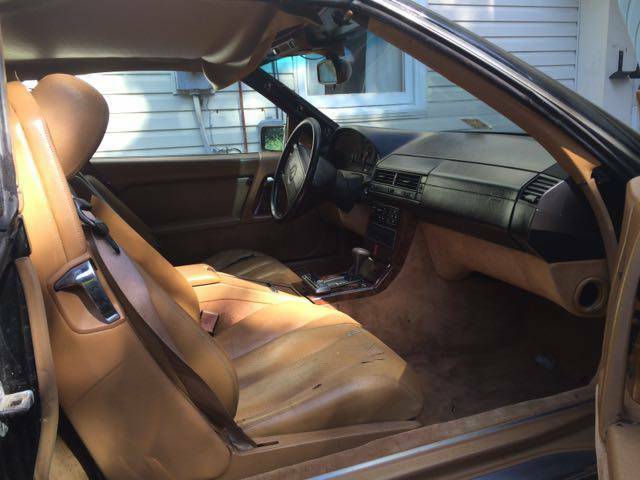 The seller mentions that all cars are for sale or are for parts. All cars were claimed to be running when parked. The date of when the cars were parked was not disclosed. The black on black car pictured is in need of a head gasket and has had the engine partially torn down. The Achilles heal the Mercedes inline six engine is the head gasket. They usually need to be done every 100,000 miles. The other expensive repair on these cars are the hydraulic rams that power the convertible top. Fortunately, there is an aftermarket company that refurbish these actuators with new seals for a fraction of the dealer price. It appears that only two of the five cars are pictured in the ad so the condition of the missing cars is a big question mark. The amount of monoblock wheels found on the cars will influence how good of a deal the lot of car are as they command strong money on the open market. The four 300SL cars come with a 217 horsepower injected inline six cylinder engine. This M104.980 engine had a 7000 rpm redline. They are the preferred Mercedes 24 valve engine to turbo as the block came with factory piston squirters, forged internals, and the most meat between the cylinder walls. This engine is so over engineered from that it is a natural for adding boost. The bad news is that there is tiny aftermarket for these engines compared to the similarly designed Toyota 2JZ. The two engines sound eerily similar under boost. Cory is closing the sale on his 1995 Mercedes E36 wagon this week and will be starting in on a 1995 C36 AMG very soon. What's better than the day you collect 5 Mercedes? The Day you sell them all off. DT needs an icon made up of 5 MBZs, put together to look like a boat anchor. Or like a full bottle of Xanax and a handle of Jack. looks like he is into John Deer Lawn Mowers & Mercedes - any co-incidence? So, if those engines are so "over engineered", why do they blow head gaskets every 100,000 miles? I would consider that "marginally engineered". A BMW M20 inline 6 needs a timing belt and water pump every 40k and it is a great engine. A leaking head gasket every 100k is not the end of the world. Over engineered is making 2x, 3x, 4x the stock power level and not grenading the engine internals or having parts shoot through the hood. These engines are bomb proof and can be had for pennies compared to the much revered Toyota 2JZ. Click on the youtube link at the end of the article or check out turbobandits clips online. 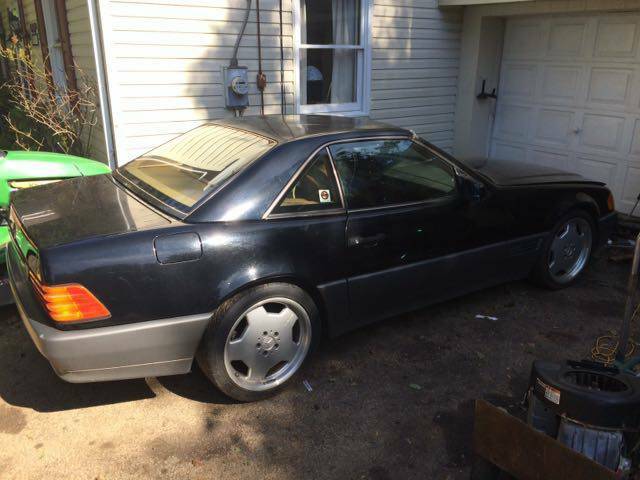 "Hi I'm calling about the 93 Mercedes SL for sale! Any other issues with the car?" "Nope, all 93 of 'em ran when great parked!"